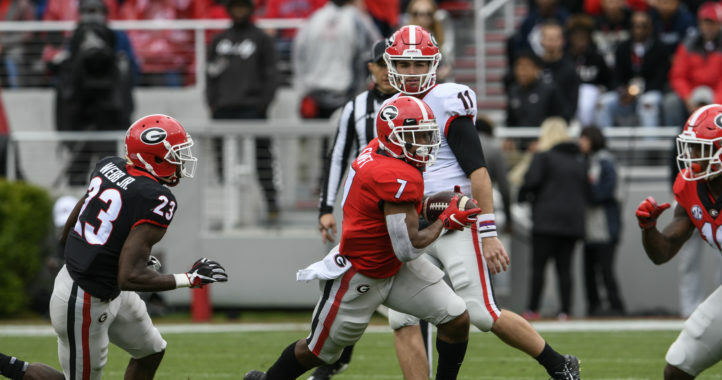 After not being able to beat out Jake Fromm for the starting quarterback job at Georgia in 2018, former 5-star recruit Justin Fields opted to transfer to Ohio State. With Dwayne Haskins off to the NFL Draft and backup Tate Martell transferring, the path is clear for Fields to become the Buckeyes’ new starter — assuming he gets a waiver to play right away in 2019. 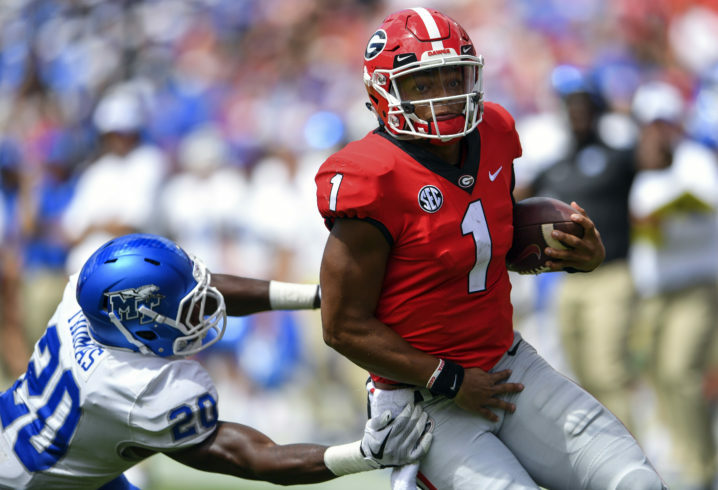 Justin Fields isn’t discussing the specifics of why he left Georgia or his case for eligibility, but said he is hoping to receive a decision “soon” and feels Ohio State has a “more player-friendly environment” after one month here. Now, this somewhat comes off as sour grapes, as Fields left after one year of not being able to beat out a sophomore quarterback who did absolutely nothing to lose his starting job. The only question that remains for Fields now is whether he’ll get to play in 2019 or whether the NCAA makes him sit out a year. Lol, thanks illustrating once again why the bamatard moniker is spot on. I agree Clemson whipped the Tide’s tails 44-16. All the best of luck to ya Justin and God speed. After only a month of non football activities, how does he know? Let’s wait till full practice starts and see how it goes. My guess if Fields doesn’t win a starting roll, his opinion might change. New school is a new experience for him. Just like switching jobs. Let him start the work and see how he feels. More “player friendly” or “more friendly for me to be able to start”? Exactly my thoughts too, more player friendly meaning more time for this player to play. Whatever. I’m still sad he left, and I wish him nothing but the best of beating up on teams like Rutgers and Indiana. I wish people would give him a break, though, and quit acting like what he did was crazy or stupid. He went to a school for a year to try to win the QB battle for his home-state school. It didn’t work out, so he went to a place with a coach who just did a good job of developing another QB. God, if we’d only redshirted him or something, though. DawgNation is the one trying to move on. Justin is the one talking. Go and watch season 2 of QB1. Fields is sloppy on the field and is treated like a god at Harrison HS. He wanted a free lunch and didn’t get it…so he left! End of story! No one cares about him as a Dawg, so go play in the Big 10 and UGA and the SEC will continue to do our thing. I doubt you were saying that when he committed and saved our 2018 QB position scenario. I wonder what “more player friendly environment” is code for. …things that make you go, ummmmmm…..
I’d take this more seriously had he actually beat out Fromm at some point. As mentioned in the article, just seems like sour grapes. It’s a non-story realistically, but might be used for recruiting. Jay I agree with your middle para. 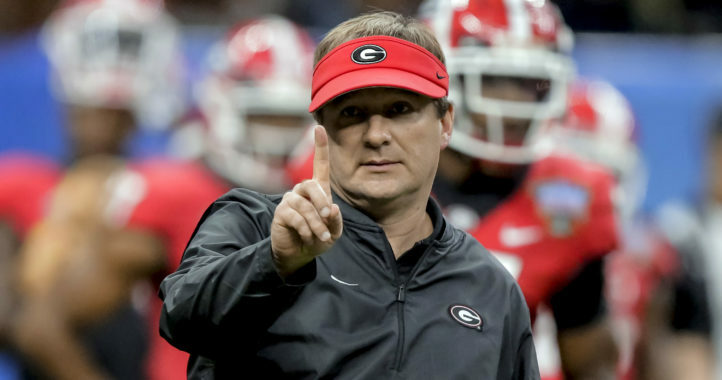 He should have just kept his yap shut but anyone expecting him to say UGA is better for some reason or another would be naive. Red flag about his character with those comments. Hes just trying to get that immediate eligibility. Having said that, and having been to both Athens and Columbus, if I’m a player choosing between OSU and GA I’d rather play in Athens instead of Columbus – hands down. My humble opinion only. Man has he been coached up. By his legal team. Exactly. He’s not progressed further than winter workouts, yet can declare they have a more friendly player environment. They aren’t as serious ‘bout football outside the SEC.